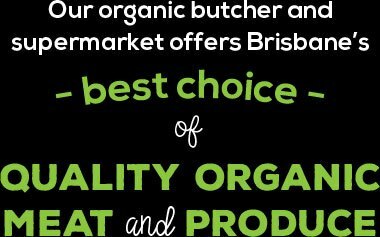 The team at TMP Organics would like to wish you and your family a happy and safe Easter. 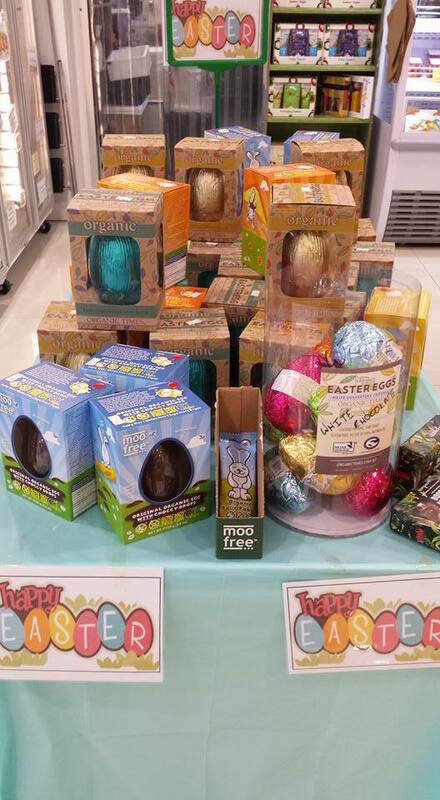 We still have some great Easter treats available so make sure you get in quick! We are open until 5:30pm on Thursday, 29 March. 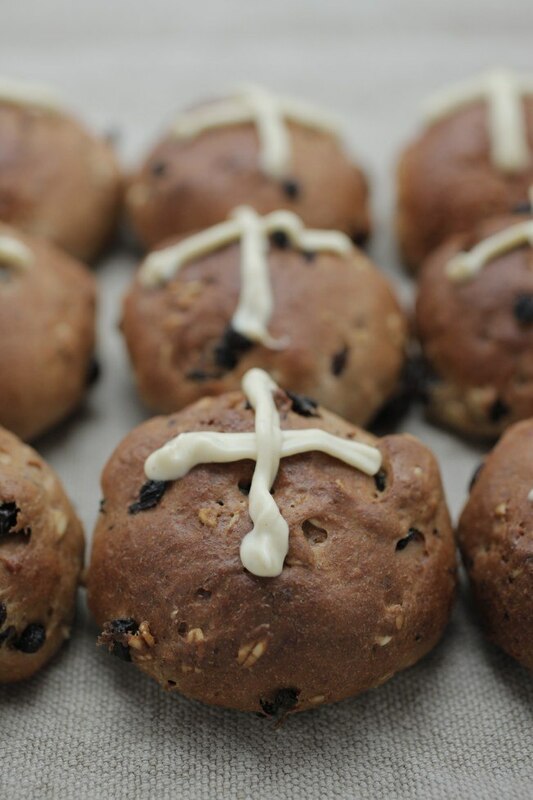 Want to try making your own Easter treats this year? Here are a few recipes to get you started. Melt cacao butter in a small, dry metal or glass bowl over a saucepan of simmering water. Once melted, remove from heat and whisk in cacao powder, honey, salt and vanilla seeds. Fill Easter egg moulds with mixture, reserving a little for joining. If making hollow eggs, use a pastry brush or a swirling motion to bring chocolate up the sides of the mould. Refrigerate until set. 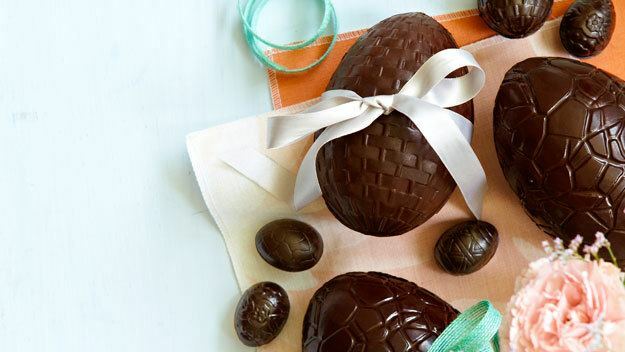 To assemble eggs, melt reserved chocolate over a saucepan of simmering water. Brush melted chocolate along edges of egg halves, press together firmly and return to fridge until set. Makes 2 large hollow eggs or 12 small solid eggs. Notes: For a gourmet addition, fill large hollow eggs with tasty treats like goji berries, dried cranberries, flaked coconut and macadamia nuts. 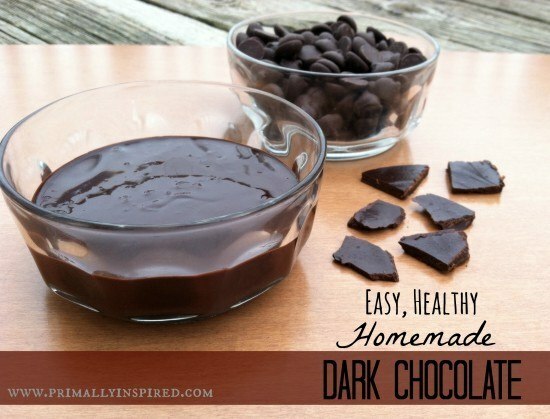 Or place these chopped ingredients into the melted chocolate for texture in your solid eggs. – Soak the raisins and the dates in separate bowls, each in 1 ½ cup water for 5-10 minutes to soften. Drain the soak water and set aside. – Using a juicer, juice about 20 carrots in order to acquire the 4 cups of carrot pulp needed (you can drink the carrot juice if you wish). – In a food processor or blender grind the almonds into a fine mill. – Add the dates and one cup of the raisins and grind until you have a smooth paste. In a large bowl, mix with the carrot pulp, vanilla, cinnamon, nutmeg, cardamom, lemon zest, orange zest, sea salt and walnuts, and the remaining one-cup of raisins. – Soak the cashews in 2 cups fresh water for 30 minutes. Drain and rinse. – In a food processor or blender, grind the dried coconut into a powder and set aside. – Blend the cashews, honey and ½ cup of the date soak water, orange juice, lemon juice, lemon zest, and vanilla until smooth. Add a touch more of the date soak water if necessary to aid in blending. – Add powdered coconut and blend well. It may be necessary to help the blending along by scraping the sides of the blender with a rubber spatula and continue to blend. Allow to stand in the refrigerator if necessary to thicken. – To layer the cake: Split the cake batter in half. Line a serving platter with plastic wrap or waxed paper. – Press half of the dough into an even circle. Slip pressed dough on plastic wrap or waxed paper off the platter. Press the remaining dough directly on the platter into an even circle for the bottom layer. Spread just less than half of the frosting on the bottom layer leaving a 1-inch border. – Delicately flip over the layer on the plastic wrap or waxed paper onto the frosted layer. Re-shape any mishaps and smooth the sides. 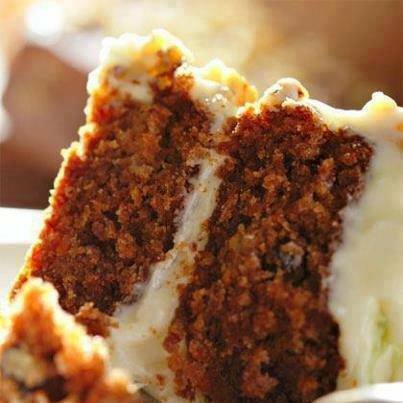 – Spoon the remaining frosting on top of the cake and spread evenly over the top and sides. If you wish, this cake can be prepared into one layer. – Press the cake dough into an even circle on a serving platter, and frost evenly. For best results, allow chilling and setting in the fridge for one hour or more. I’ve used large muscatel raisins in this recipe, but they are also delicious with sun-dried figs, apple and walnuts or a combination of dried cherries and 85% organic dark chocolate to give it that Easter touch. Mix the wholemeal flour, oats, cinnamon, yeast and a pinch of salt in a mixing bowl. Cover the bowl with a clean cloth or glad wrap and leave the dough to double in size in a warm place for about 1 hour. Knock back the dough and tip in onto your working bench. Cover lightly and allow to rise for another 30 minutes or until double in size. You may like to pipe a cross made from either white or dark chocolate on top. Makes 10 hot cross buns. These buns are delicious lightly toasted with a light spread of macadamia nut butter. Add sun-dried cherries and dark chocolate in place of raisins and currants. Add sun-dried figs, apple and walnuts in place of raisins and currants. Sprinkle with a few oat flakes before baking for a rustic effect or brush with egg wash before baking for a lovely glace finish. Combine all the ingredients in a small bowl and stir until well mixed and smooth. You can pour the chocolate into moulds to make chocolate candy, you can put the chocolate into a cake decorator (or plastic bag with the edge cut off) and pipe out chocolate chips, or you can pour the chocolate into wax or parchment paper and make bars. Freeze until hardened – about 30 minutes. Store the chocolate in the fridge. 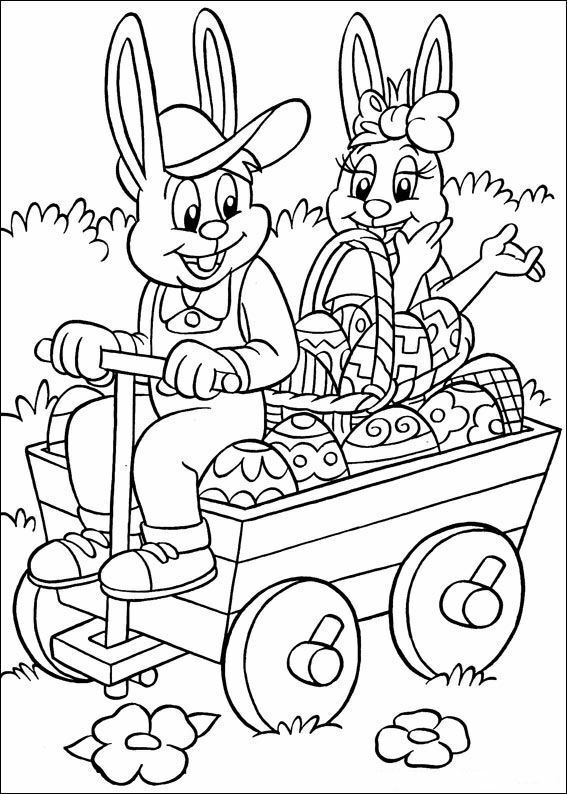 Enjoy some colouring in over the long weekend! Simply save this image and print at home.